Formerly Cimicifuga. 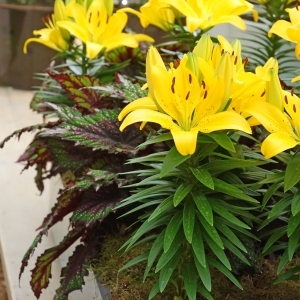 Beautiful plantas for mid summer through late fall. 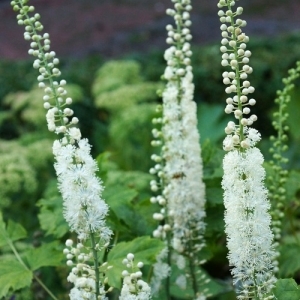 The creamy to white bottle brush-like flowers are fragrant and repel insects (all fragrant, except Actaea racemosa var. cordifolia). Aftwer flowering attractive lime green seed pods are formed. 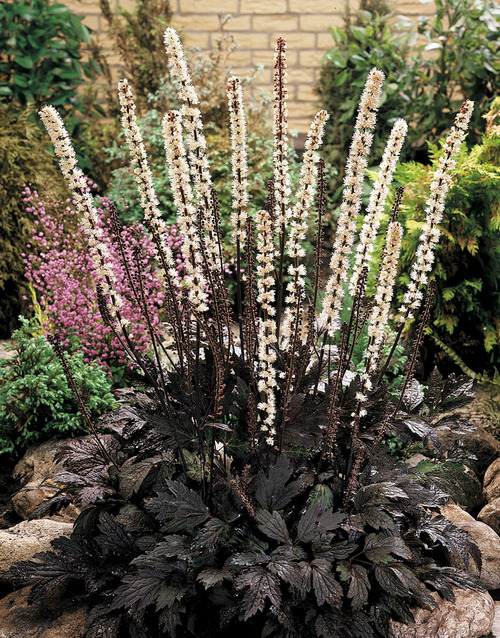 Plants prefer a moist and rich soil.Creamy white flowers above dark purple leaves. 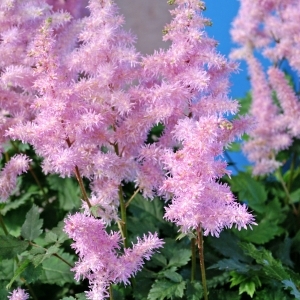 Flowers just after Actaea racemosa var. cordifolia.